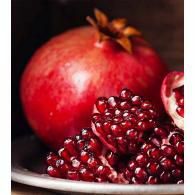 What is a fruity perfume style? It is a style with fruit focused notes such as apricot, fig, plum, currant or melon. Nectar is a fresh, fruit-forward scent that begins with white peach..
Nectar is a fresh, fruit-forward scent that begins with white peach and apricot enhanced with tangy citrus. Its heart is toasted oakwood and its smooth finish comes from Madagascar vanilla bean.Click here to check out celebrities that selected Nectar. To see it in magazines click here.The inspiration: Nectar was born from the scent ambiance of the California autumn wine harvest. It was once described as "pure, mesmerizing and unforgettable - like a first love." We invite you to experience the warm embrace of Nectar. The ingredients of Nectar are known to support the solar plexus chakra. 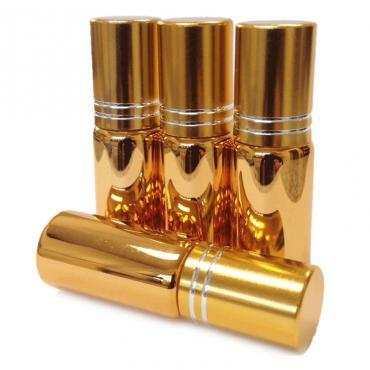 So if you are purchasing a perfume oil roll-on, we suggest citrine. Citrine has the very same vibrational energy as the plant oils contained in the formula. It magnifies and focuses their energy to help relax digestion, release stress and inspire inner confidence.Contains: Our proprietary fragrance composition of 100% natural essential oils and absolutes distilled from genuine flowers, ..